Most economic commentators have always argued that Sierra Leone’s economy has been and still is too fragile and narrow to withstand any national crisis of the magnitude that is being witnessed today. Since the end of the war in 2001, which devastated the country’s infrastructure and industries, economic growth has been largely driven by the mining, construction and agricultural sectors, which saw GDP rose from zero to an annual average of 5% between 2003 and 2008. But in 2011 came a huge surge in iron ore exports, following massive investments by African Minerals and London Mining Ltd.
As mining production rose, so too did GDP, from an annual average of 5% to a high of 15% by 2012. Although the 2008/2009 global economic downturn slowed down global industrial production, yet China’s appetite for raw materials, such as iron ore did not wane, and this benefitted Sierra Leone immensely. Sierra Leone’s GDP growth trajectory has maintained its course fairly well, though a slow down and possible decline was forecasted for 2015. But it seems Ebola has now brought forward the economic meltdown that many had feared, predicated upon government’s failure to build a diverse economy, strong enough to withstand a national crisis. With over 1,500 people now diagnosed with the Ebola virus and over 500 dead, the prognosis – both for the health and wealth of the nation is fast becoming very dire. 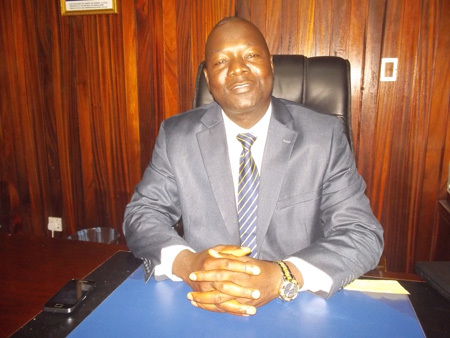 The Koroma government is now losing control and sense of direction. Speaking to the country’s media in Freetown this week, finance minister Kaifala Marah confirmed everyone’s worst fear that the economy is now spinning out of control, with no contingency plan in place to arrest the decline, other than waiting for an IMF bailout. Minister Marah said that GDP growth has fallen by 50% from 15% to 7%, since the start of the Ebola virus in May this year. GDP is expected to continue to fall until possibly June next year, when and if the virus subsides, and mining companies resuming pre-Ebola production. “The Ebola outbreak has reduced the country’s economy from a projected 11.3% to 7%, as more money is continuously put into the fight,” said Marah. As the International Monetary Fund (IMF) begins to count the economic cost of Ebola to Sierra Leone, Liberia and Guinea, its deputy spokesman – William Murray spoke to the press in Washington on Thursday. QUESTIONER: Last time we had a briefing you mentioned that the IMF was working on economic assessments for the three countries that have been hit by Ebola. So I wanted to know if you had an update on that or when you expect that to be released. MURRAY: Okay, sure. Let me get to you on that. Well, beyond the human toll that this outbreak is exacting, the Ebola outbreak looks set to cause significant harm to the economies of Guinea, Liberia and Sierra Leone. A large scale and well-coordinated intervention by the international community is urgently needed to help bring the epidemic under control particularly in the cases of Sierra Leone and Liberia. The largest sectors of these already fragile economies, that’s the agriculture, services and mining sectors are being affected. This is, in turn, engendering significant financing gaps for the fiscal and external accounts of these two countries and triggering higher inflation. 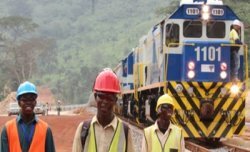 In Guinea where the outbreak started earlier and the number of new cases has slowed somewhat more recently, industrial mining has so far been spared but economic activity has nonetheless slowed sharply in Guinea on account of disruption to international travel and closing of land borders in Guinea. So how bad is the situation? Well, it’s evolving rapidly but based on the latest information available growth could decline by at least three to three and a half percent in Liberia and Sierra Leone and by about one and a half percent in Guinea. The largest estimated growth impact in Liberia and Sierra Leone is attributed to the fact in both countries, as I mentioned that industrial production is being affected while this isn’t the case in Guinea so far. QUESTIONER: And that’s for 2014? QUESTIONER: Just to follow up on that point of clarification. Do you mean three and a half percentage points? MURRAY: Three and a half percentage points of growth. MURRAY: Three to three and a half. QUESTIONER: Yeah, three to three and a half, okay, in Sierra Leone and one and a half to — in Guinea. MURRAY: Let him finish and I’ll come back to you. QUESTIONER: You said there was a significant financing gap — I think the IMF has programs with all three. Are you all currently in negotiations to boost their loans? Expand their financing? MURRAY: Well, right now staff estimated, as I mentioned, significant financing gaps. And we’re talking in the realm for fiscal imbalance of payment needs for the three countries; these gaps are on the order of $100 to $130 million for each country. There’s a range $100 to $130 million for each country. As was noted by one of your colleagues here, all three countries do have IMF programs. So we’re in active engagement right now with the authorities to help determine how we can cover the additional financing requirement that they are facing. QUESTIONER: Is there — are you seeing broader economic impacts regionally with the economic fallout not just from the countries but also cross border trade, there’s been flight issues. There’s been, what do you call it, remittances issues. There’s also et cetera. You see what I’m saying. MURRAY: Right, I see where you’re going with that. Yeah, I can’t quantify that for you right now. Those are all, what you just mentioned are among the things that our African Department, which is in the lead on this, is monitoring very closely and is in contact with other departments at the Fund in terms of assessing spillover effects and things of that nature. We’re also in contact with all of the international organizations both in the international financial institutions and beyond to gather information and also to assess what support is needed. But at some point in time, good questions at some point in time we’ll be able and I think in fairly short order we’ll be able to elaborate a bit more. QUESTIONER: The question actually on the percentage it sort of confused me. Is it that the economy of this country is going to contract by three point five? MURRAY: From current growth you were expecting three to three and a half percent being trimmed in Sierra Leone and Liberia. One and a half percent from Guinea. QUESTIONER: So what was the original? MURRAY: I don’t have the numbers in front of me. Let me see if I can get those for you before the briefing is over. QUESTIONER: So it doesn’t mean these economies are going to contract necessarily? MURRAY: Don’t forget this is an evolving situation so it’s not over yet. Some of the countries had higher growth, you know, positive growth, significantly positive growth rates but it’s knocking growth down significantly. QUESTIONER: Is there any sort of timeline you’re working on in terms of getting these financing gaps covered to ensure that they have the adequate resources to confront the crisis? MURRAY: We would like to move on this as quickly as possible. So but there’ll be, you know, there’s a process in place but it’ll, you know, we’re hoping to move as quickly as possible. I don’t have anything further to elaborate on in terms of the timing of when we’ll have further announcements but we – I expect within fairly short order we’ll have more to elaborate on.